"[original caption] Schule in Kaity." [Original text]: "[Gestrichen:] z. Empfang des Inspektors." [Stamps]: "A. T. W. Penn, Ootacamund." 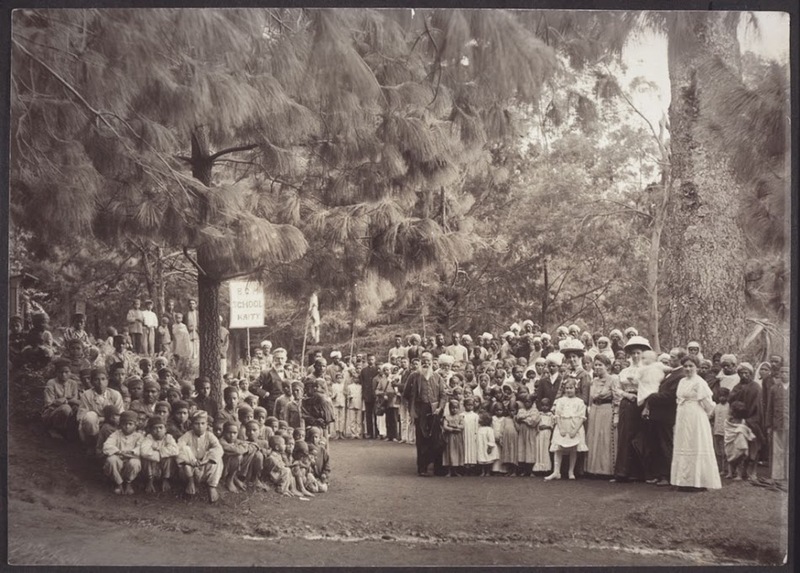 Penn, Albert Thomas Watson, %Ootacamud Udagandalam, %%India , “School in Kaity.,” BMArchives, accessed April 19, 2019, http://www.bmarchives.org/items/show/66651.